John Hardy Jewelry - Birmingham & Mountain Brook, AL - Bromberg & Co Inc. Established in Bali in 1975, John Hardy is dedicated to the creation of ultimate beauty through artisan hand-crafted jewelry. 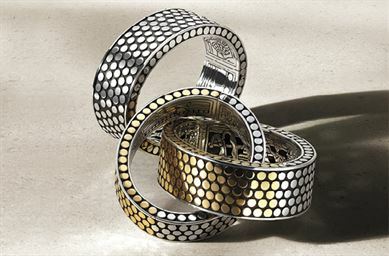 John Hardy’s master artisans honor original craft through the perfection of modern design, creating timeless one-of-a-kind pieces that are brilliantly alive.